Who doesn’t like a good hodge-podge every once in a while? Of course, there has to be a sense of direction to it in order for it to work, but a collection of different influences can provide a more varied experience. But in the case of Dreamcatcher, it never seems to amount to more than the mere sum of the collective parts. 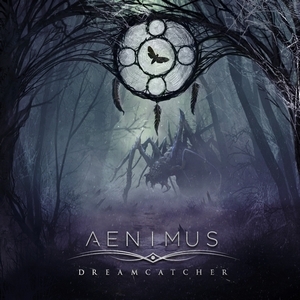 Aenimus isn’t really ‘all over the place’ so much as it is a collection of different death metal influences, mostly stemming from the modern era. There’s bits and pieces of tech death wizardry, more floaty Fallujah-inspired prog moments, and even some odes towards deathcore. The concoction works in the sense that all of these parts move together and flow, crafting a pretty seamless extreme metal experience that has plenty of fury behind it. More atmospheric moments and some effectively used clean vocals give it the needed leverage and variety to keep the album afloat for a longer duration (there’s close to an hour of material here), and the concept involving a number of horror movies/novels is a pleasant one. The biggest fault, as noted, is that all of these bits feel fine yet nothing causes them to rise above and turn into something greater. In the end, it just feels like ‘another modern death metal’ release instead of something that has the potential to be greater. As Dreamcatcher is only the band’s second release (and first for NB), there’s plenty of time for them to pull it all together. The groundwork (and talent) is there, it’s a matter of making the tracks more captivating than what the rest of the scene is currently up to instead of sounding like they are trying their best to include all of their influences.